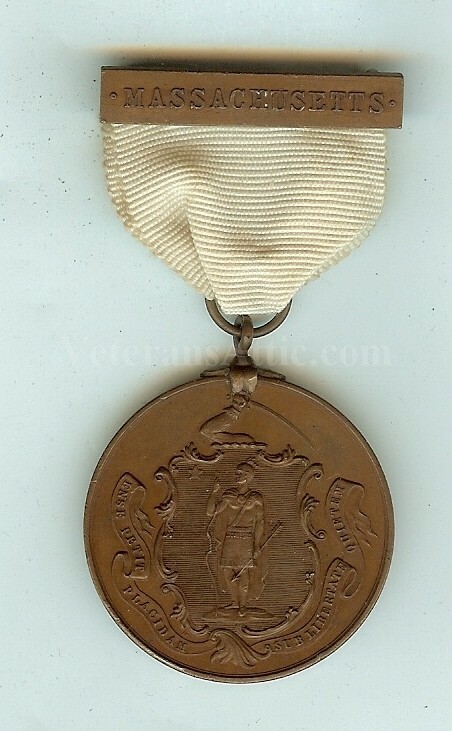 A very hard to find badge worn by Massachusetts veterans at the Massachusetts Monument Dedication at Antietam, Maryland in 1898. The hanger has "Massachusetts" on it. A light ribbon is attached and a drop with the Massachusetts coat of arms on the front of the drop. On the back of the drop is written "Dedication Antietam Monument - Antietam, MD. - 1898.". The badge is approximately 3 1/16 inches by 1 3/4 inches. 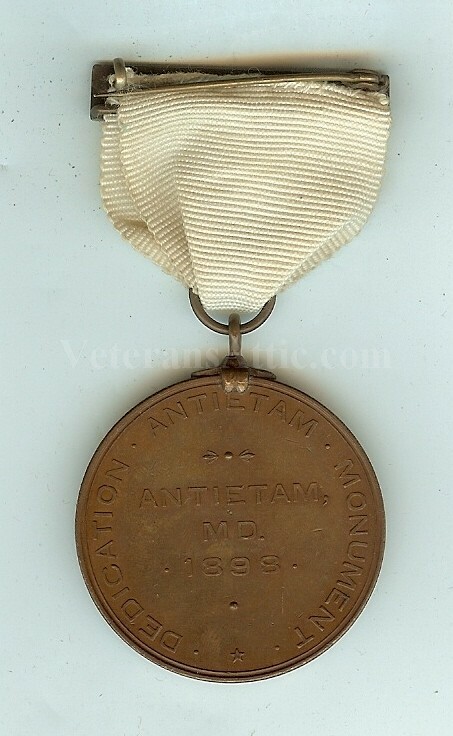 These Antietam monument badges are getting very hard to find!